I wanted to draw attention to the excellent web site ThingsAreGood.com and especially the article on Honda’s F1 team and their new earth-friendly car. 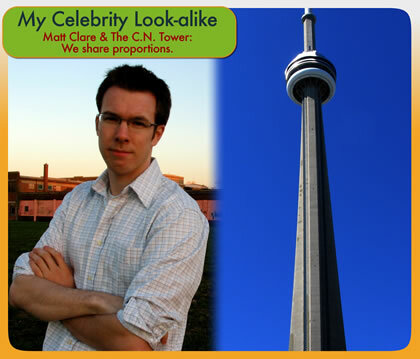 Based on what everyone seems to be doing with the tools over at www.myheritage.com, I’ve created my celebrity look-alike comparison. Lindsay and I went to the Toronto Autoshow this weekend. Not surprisingly Lindsay and I wanted to check out some of the new more economical vehicles, which probably represented most of the new models on display. The increase in gas prices and the strength of the import manufactures has made cheap cars fun again. Lindz and I liked the Honda Fit, and Lindsay’s pictured here on the Honda Jazz. I was disappointed with Suzuki’s fleet. Suzuki and Chevy would stop selling the Daewoo Kalos as the Suzuki Swift and the Chevy Aveo – Lindsay noticed that it was the same car and a poorly built one (turn stock was broken-off). Suzuki needs to bring the real Suzuki Swift over from Europe and Japan. We know it’s compatible for Canada because the boys over at Top Gear used them to play a giant game of hockey. The highlights for me was seeing the lines of the new Audi R8 and the Maserati Quattroporte in person, which could just have easily been on display in the AGO. Over the last three days I participated in the Graduate Teaching Assistant Instructional Skills Workshop here at Brock University. It was a great way to reflect on my own teaching, build on my existing skills and benefit from the experiences of others. The workshop involves 10 people, split into groups of 5. In those small groups participants give short 10-minute lessons on anything so that they can demonstrate their teaching and gain feed back. 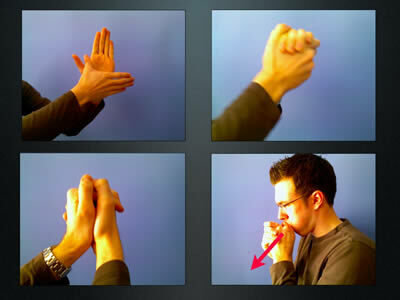 How to make a Loon call by blowing through your hands. The flash version of my presentation is available. How E-Mail is sent across the Internet. I did this one without the benefit of technology. 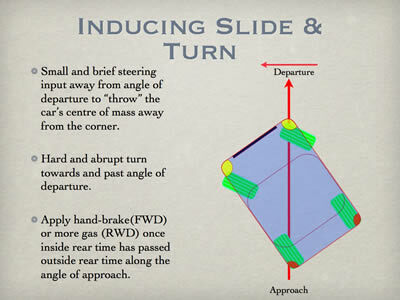 “Drifting” or how to slide a car sideways around a corner. You are currently browsing the iMatt :: The Blog of Matt Clare weblog archives for February, 2007 .